There are many large names among Turbomilk’s clients: software engineers, design studios and other serious organizations but sometimes we are approached by creative loners or freelance designers. At this stage Mr. Eriksen himself got actively involved into the project and suggested that we emphasized on a human-like character. Frankly, our client appeared a kind of bold person who suggested using himself for prototyping! 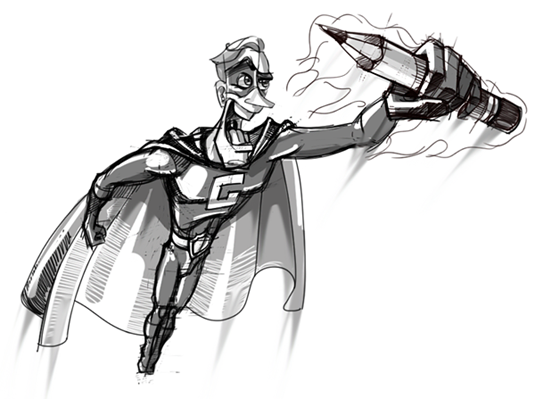 The task for an illustrator got simplified and complicated at the same time — we needed to come up with a superhero (just like from Marvel’s comics), which would remind Gunder of himself. And the work started humming! 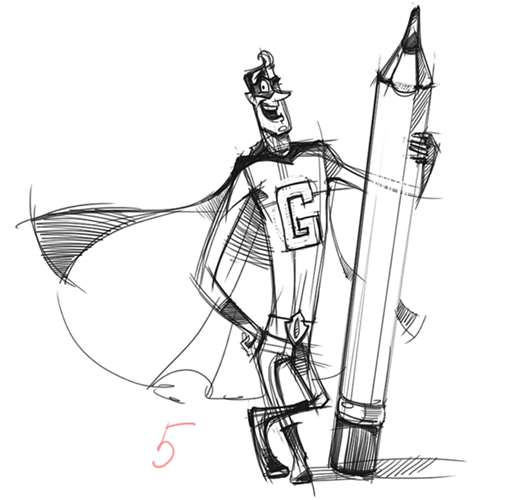 Thus, we created a designer superhero armed with a symbol of designer’s creativity — a pencil. But it still was not what we needed for being too static, where we wanted some agility and motion. 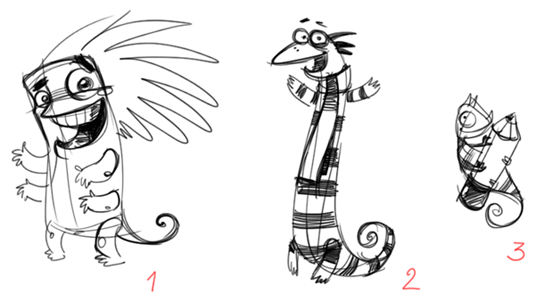 So we drew two more sketches. 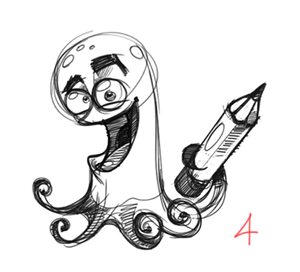 First came out an intrepid designer astronaut in a spacesuit and with a new-generation plasma pencil! Here it is worth mentioning that Mr. Eriksen was very meticulous about his role in the project when it came to supplying us with strengths and weaknesses of each sketch, which helped us a lot in progressing on this project. 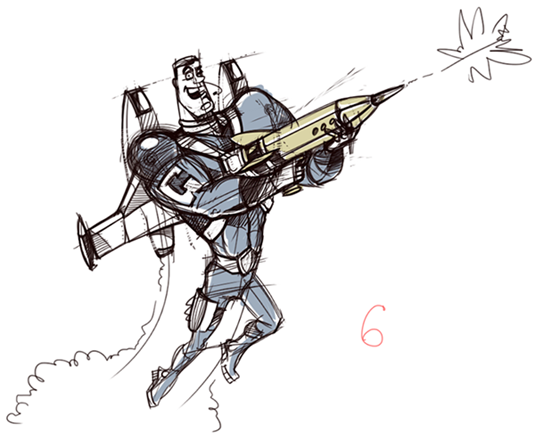 So this final sketch featured a flying Super Designer with a flaming pencil in his hand. Dashing and creative!